Soy contains high amounts of isoflavones, which are phytonutrients. Phytonutrients are compounds found in plants that have actions in our body, but are not vitamins or minerals. Isoflavones belong to a group of substances called phytoestrogens (plant estrogens). As the name implies, they can have certain actions in our body that are similar to the hormone estrogen. Because estrogen can play a role in breast cancer development and survival, there have been many questions raised about the risks and benefits of diets high in soy. 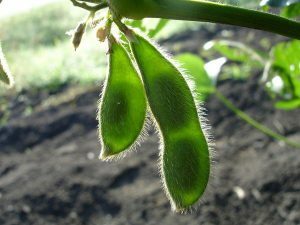 What is the relationship between soy and development of breast cancer? It is not likely that eating moderate amounts of soy foods increases the risk of breast cancer. The majority of high-quality studies and analyses have found that eating soy foods does not increase risk, even when eaten at levels much higher than those typically seen in the US (Trock 2006, Wu 2008). Many studies suggest that soy may help protect against breast cancer (Trock 2006, Wu 2008). Results from an analysis that combined findings from multiple studies in Asian populations found that soy may have a protective effect on breast cancer incidence. However, when the same analyses were done in studies of US and other Western populations, there was no link between soy and breast cancer risk (Wu 2013). It seems the benefit only comes with a pattern of intake that is seen in most Asian countries, where women begin eating soy early in life and eat it in amounts many times greater than typically seen in the U.S. In Japan, for example, soy intake ranges from 38 g to around 78 g per day, equivalent to 26 to 54 mg isoflavones. In the U.S., soy intake ranges from less than 1.5 to 4.3 g per day, or 1 mg to 3 mg isoflavones (Nagata 2010). As a breast cancer survivor, is soy safe? 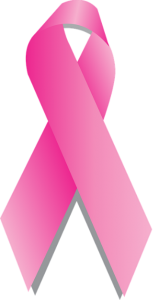 Current studies suggest that eating moderate amounts of soy foods is safe for breast cancer survivors (Shu 2009, Cassileth 2012, Nechuta 2012). Evidence suggests that a diet high in soy may improve survival and lower the risk of recurrence in women with breast cancer. The benefits don’t appear to be limited to Asian populations, either. One analysis combined data from three large, long-running studies of survivors from both Asian and Western countries. It found that women who ate at least 10 mg of soy isoflavones per day after a breast cancer diagnosis had a 25 percent lower risk of recurrence compared to those eating less than 4 mg soy isoflavones per day (Nechuta 2012). Moderate amounts of soy are likely safe to eat and can be part of an overall healthy diet. Soybeans are high in fiber, healthy oils and protein. Just 100 grams of raw soybean (less than half of a cup) contains 13 grams of protein, 4 grams of dietary fiber, 3 grams of polyunsaturated fatty acids, as well as 20% of our daily value of calcium and iron, 48% of our daily value of vitamin C, and 18% of our daily value of potassium (USDA Food Composition Database). Most of these are nutrients which Americans are encouraged to increase in their diet, solidifying soy’s role in a healthy diet. Cutting back on animal products by moving toward a more plant-based diet that is rich in fruits, vegetables, whole grain and legumes (like black beans, peanuts and soybeans) has overall health benefits and could also have additional cancer risk reduction benefits. 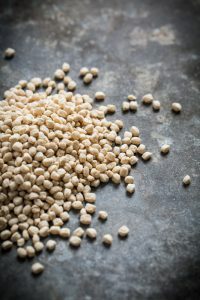 Soy is one of the few plant protein sources that contains all of the essential amino acids required by our bodies, making it a great candidate to substitute animal products in the diet. There’s been a lot of study on a possible link between soy and breast cancer. Current research suggests that eating soy at higher levels typically seen in Asian countries may be associated with lower risk of breast cancer. Eating moderate levels of soy may also lower the risk of recurrence and mortality in breast cancer survivors. In moderation, soy can be part of an overall healthy diet that focuses on more plant-based foods and less red meat.